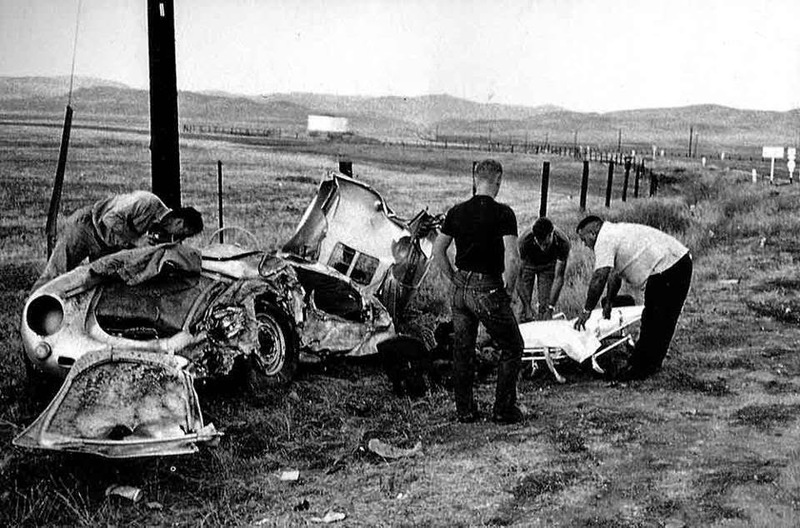 In September 1955, James Dean was killed in a horrific car accident whilst he was driving his Porsche sports car. After the crash the car was seen as very unlucky. 1) When the car was towed away from accident scene and taken to a garage, the engine slipped out and fell onto a mechanic, shattering both of his legs. 2) Eventually the engine was bought by a doctor, who put it into his racing car and was killed shortly afterwards, during a race. Another racing driver, in the same race, was killed in his car, which had James Dean's driveshaft fitted to it. 3) When James Dean's Porsche was later repaired, the garage it was in was destroyed by fire. 4) Later the car was displayed in Sacramento, but it fell off it's mount and broke a teenager's hip. 5) In Oregon, the trailer that the car was mounted on slipped from it's towbar and smashed through the front of a shop. 6) Finally, in 1959, the car mysteriously broke into 11 pieces while it was sitting on steel supports.